You are here: Home » RESOURCES » Coaching 101 Minute » Coaching vs. Consulting – What’s the difference? Coaching vs. Consulting – What’s the difference? 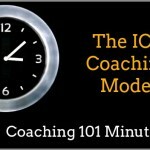 There are two words that really helped to differentiate coaching and consulting. As A coach you are there to partner with your client success and as a consultant you are there to advice your client. Typically a consultant is hired because they have achieved success in their personal professional life and the client is there to do the same or the similar result in their own life. There really is a hierarchy there where the consultant is on the pedestal informing or advising their client on how to acquire that same skill or how to achieve that same success. Yes it’s true, as a coach we are experts in the coaching process how to move our client from say a barrier into a success but we are not there to be an expert and everything about that client. It is true that we do market ourselves or brand ourselves as a particular type of coach say an executive coach or health and wellness coach. But we are not there to be an expert and everything about the executive or everything about health and wellness. After the client will discover that they will need to learn a new skill to move forward. What we can do as a coach to support them is help them to locate that information or that resource. So they can go outside of the coaching attain that information and bring that back in that coaching space were you as a coach then can help them to apply that to their life to be long term and sustainable. Now come along to the next coaching 101 teleclass and learn how many coaches combine coaching and consulting.